Leave the clunky workboots at home. 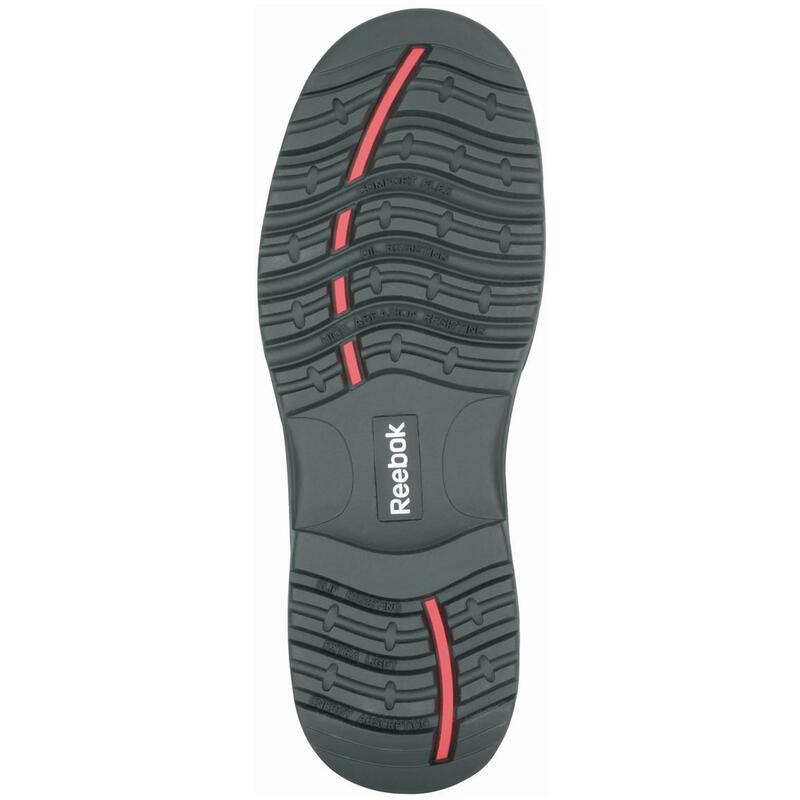 Reebok® Composite Toe Sport Boots give you fleet-of-foot comfort, reinforced for the "grind". 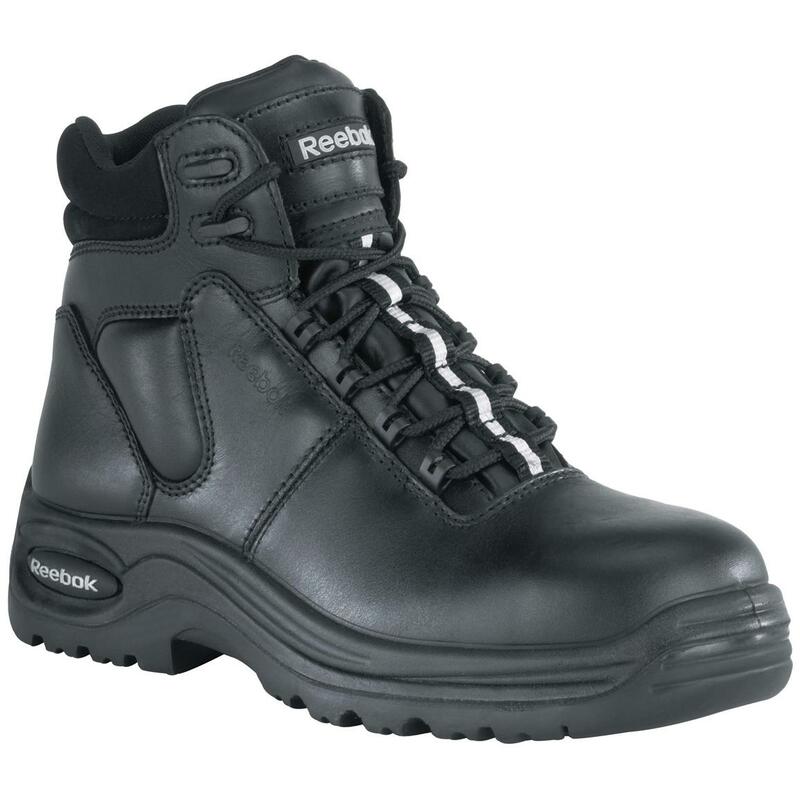 Durable leather uppers, ASTM-approved composite safety toes and sure-footed rubber traction bottoms defend against job site hazards. Inside, abrasion-resistant Tailex lining and EVA foam cushion insole with heel airbags score big with easy-breathing, shock-absorbing comfort. Each approx. 6"h., 24 ozs. Weight per boot (approx. ): 24 oz. Reebok Mens 6 Composite Safety Toe Sport Work Boots, Black is rated 3.0 out of 5 by 1.